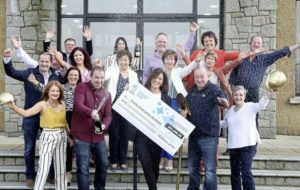 A syndicate of 18 co-workers from a demolition company in Newry, Northern Ireland, won £253,489.30 in the EuroMillions lottery on Friday, March 29th, 2019. Their office pool had been running for quite a bit, but in the end, it really paid off. Each of the syndicate members took home a share of £14,000. Lottery sweethearts Colin and Chris Weir have decided to get a divorce after 38 years of marriage. They became the UK’s biggest lottery winners when they scooped a EuroMillions jackpot worth £186 million (€161 million) back in 2011. Now, eight years after their enormous win, the Weirs have decided “with deep regret” that they want to split up. The Weirs politely asked for discretion during these difficult times and they said that they would issue no further comment on the matter of their separation. Their marriage lasted for 38 years and they have two children together. Chris and Colin Weir are from Largs, North Ayrshire in Scotland. Colin, aged 71, is a former TV cameraman, and Chirs, 62, is a former psychiatric nurse. Since their EuroMillions win, they have made some notable donations. They set up The Weir Charitable Trust in 2013 and they made a sizable donation to the Patrick Thistle Football Club, which helped the club to become debt-free. Then they continued to invest in the club and rebranded it as the Thistle Weir Youth Academy. Colin even got a section of the Firhill Stadium named after him. Then, in 2014, the Weirs donated £3.5 million to the Yes Scotland campaign before the 2014 independence referendum took place. They then continued to support the cause by donating to the SNP. 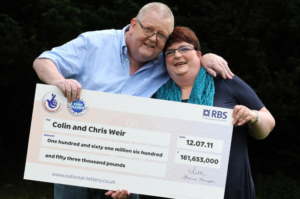 While the news of their divorce is saddening, Chris and Colin Weir will remain among the most popular EuroMillions winners of all times. Ade Goodchild, a factory worker from Hereford, is the sole winner of the £71m EuroMillions jackpot! The 58-year-old who scooped the amazing prize on Friday plans to quit his job and enjoy his new-found fortune. Goodchild is the 15th biggest winner in the history of the UK lottery. The winner held a press conference and he explained that he plans to retire after 24 years as a metal worker. He also mentioned that this amazing prize will certainly change his life and he is happy to experience such a lucky moment. I’m not one of these winners who is going to say this win won’t change me. It bloody well will or at least I’ll give it a damn good go! There’ll be no more shift work for me. The first people he called to announce he has won the jackpot were his parents. They were understandably surprised and in disbelief at the news. The first thing I did was ring my mum and dad. Normally when you get a phone call so early the morning, it’s a tragedy. I had to convince them that I’d won, they thought I was pulling their leg. Goodchild, who is originally from Wales, celebrated his win by watching the Wales rugby match and drinking “slightly fancier beer” with his father. Goodchild, who is single and has no children, plans to use his fortune to upgrade his lifestyle. He wants to buy a house with a jacuzzi and pool and travel the world as much as he can. His dream destinations include the Pyramids in Egypt and The Grand Canyon in the United States. He gladly admitted that he is ready to be changed by the amazing jackpot he won, and enjoy all the perks of such fortune. I’m not one of these winners who is going to say this win won’t change me. It bloody well will or at least I’ll give it a damn good go! The winning numbers in Friday’s draw were 03, 15, 24, 42 and 46 and Lucky Star numbers, 09 and 12. EuroMillions is a lottery played in eight countries besides the UK, including Belgium, Austria, France, Luxembourg, Portugal, Spain, and the Irish Republic. Laurencekirk’s Fred and Lesley Higgins won £58 million on July 10th, 2018, with a ripped-up ticket no less. When Mr. Higgins checked his ticket, the shop assistant initially told him that he hadn’t won anything, so he tore up his ticket and threw it away. Then, the machine told them to contact Camelot, and they quickly got it retrieved it, as it was worth a EuroMillions fortune. Now, the Higgins’ are meeting up with their lawyers to set up a charitable trust. When asked about the charities they would contribute to, Mrs. Higgins said “We don’t want to be too prescriptive about it. It would be local charities or smaller charities.” They said that they’ve helped out a few local charities in Laurencekirk and that they’re interested in a couple of more. Among these is the Air Ambulance Service. After their win, the Higgins’ said they would buy property abroad in Barbados or some other exotic location, but half a year later, they still live in their home in Laurencekirk. They plan to move to a five-bedroom home in the city, and they have also purchased a penthouse flat in Dundee overlooking River Tay. That is the extent of their eccentricity, as they still use their Tesco Clubcard and discount shopping vouchers. Fred and Lesley Higgins are true role models for lottery winners everywhere. The son of EuroMillions winner, Dolores McNamara, Gary, plans to restore a derelict marina in Ballina. At the moment, he is awaiting the planning permission to restore the old harbor in Tipperary village. He has purchased the Killaloe Hotel and managed to save the jobs of those employed there. Mr. McNamara has serious plans with the marina, as he is ready to invest a whopping €2 million in the project. There are a few residents who have expressed their concerns over light pollution, as well as other issues but the chairman of the Marine Village Residents’ Association, John Mullen, said that the majority of the residents are delighted about Mr. McNamara’s projects. In fact, they have signed a petition to show their support. Gary has been great to communicate with the people and asked our opinions along the way. It will be the best inland marina in Ireland when it’s finished,” said Mr. Mullen. Mr. McNamara and the Higgins’ set positive examples for lottery winners everywhere. With great wealth comes a great opportunity to do good and they have showed that it is a very fulfilling process. Congratulations to the kind-hearted EuroMillions winners! Another EuroMillions winner form the UK has come forward to claim the enormous jackpot worth £71 million from March 15th, 2019. The new winner decided to keep from the limelight and will remain anonymous. The lucky numbers that earned the mysterious Brit this huge pot were 3-15-24-42-46/09-12. 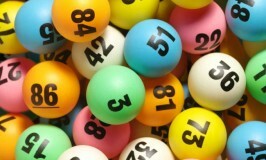 This win marks a clear winning spree in the UK, as many of the latest winners in Europe’s favorite lottery were Brits. In fact, on the very first draw of the year, Frances and Patrick Connolly from Northern Ireland scooped a huge £115 million. The couple became very popular with the press after sharing their adorable reaction to becoming millionaires. While others celebrate such events with champagne or other alcohol-soaked beverages, the Connolly’s brewed themselves a delicious pot of tea and pondered on their striking good fortune. It was Frances who insisted that Patrick buys a lottery ticket. He made the purchase online and he chose the Quick Pick option. It was a completely random selection of numbers that earned them the pot. Another Brit who came forward as a lottery winner was 51-year-old Andrew Clark. He was the big winner of a £76 million pot awarded in November 2018, but only found out six weeks later, when he found the lottery ticket in his van. As soon he discovered the ticket, Mr. Clark went on to collect the big pot. Then, he and his partner, Trisha Fairhurt, started living the lottery life and moved into a four-room house, complete with a luxury indoor pool, a triple garage, and a personal gym. They also upgraded their wheels to match their new status to a £80,000 Mercedes-Benz and a Nissan Qashcai. The most famous of all the EuroMillions winners are undoubtedly Adrian and Gillian Bayford, who scooped the cap-jackpot back in 2012. Since then, they’ve been all over the press with their lottery adventures. The couple got a divorce soon after their win and since then, they’ve been sought love separately. The upcoming EuroMillions draw is just around the corner. On Tuesday, March 19th, 2019, the pot will be at £14 million. Play EuroMillions online from anywhere in the world and you could be the next big jackpot winner! Good luck! Check your EuroMillions results right here! Find out if you’ve won one of the amazing … Check the latest results now - you could have hit the jackpot in Europe's #1 lotto!